Four people were shot in a rifle attack outside of Truman College in Uptown on Wednesday evening. One victim was reported in grave condition as he entered surgery. The other three victims are in good condition. Officially, police are saying that the four victims were standing on the sidewalk when two male offenders exited a vehicle and fired shots, according to CPD's Office of News Affairs. 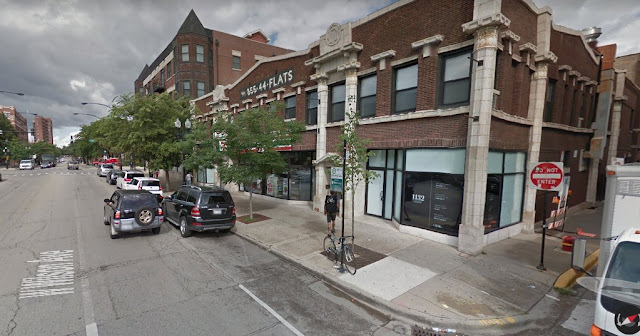 CWBChicago reporting has found multiple witnesses who saw a gunman wearing a ski mask open fire with a rifle in front of 1132 West Wilson around 8:15 p.m. Some said the offender fled on foot. Others thought he jumped into a light green Subaru Outback that fled toward Racine. Cops are hoping that several nearby CTA surveillance cameras captured the attack. One of the victims in good condition is part of a well-known drug operation family in the Uptown area. At least two and possibly all three of the other victims may have been unintended targets, according to a police source. • Male, 19, good condition with gunshot wounds to the upper thigh or buttocks. Police believe he was the intended target of the shooting, a source said. Two of the victims were transported to Advocate Illinois Masonic Medical Center by ambulance. Two others went to Masonic on their own. Wednesday’s quadruple-shooting was the third multiple-victim shooting in Uptown since November 1. So far this year, 28 people have been shot in Uptown—five fatally. It took nearly eight minutes for the first police officers to arrive at the Uptown shooting scene after calls of shots fired flooded the city’s 911 dispatch center Wednesday. The first calls for help came in at 8:15 p.m., according to the city’s Office of Emergency Management and Communications. The first officer reported being on-scene at 8:23 p.m. But don’t blame the cops. They can only do so much. The 19th District’s manpower, decimated by the administration of Rahm Emanuel, continues to operate with 105 fewer cops—that’s 25% fewer officers—than when Emanuel took office. The mayor promised Lakeview Alderman Tom Tunney and Uptown Alderman James Cappleman that the 19th District would have a minimum of 384 cops by mid-2016 in exchange for their votes to raise the city’s property taxes in 2015. As of last week, the district had just 362 officers. So far this year, the 19th District has literally run out of cops to handle emergency calls on 160 occasions.